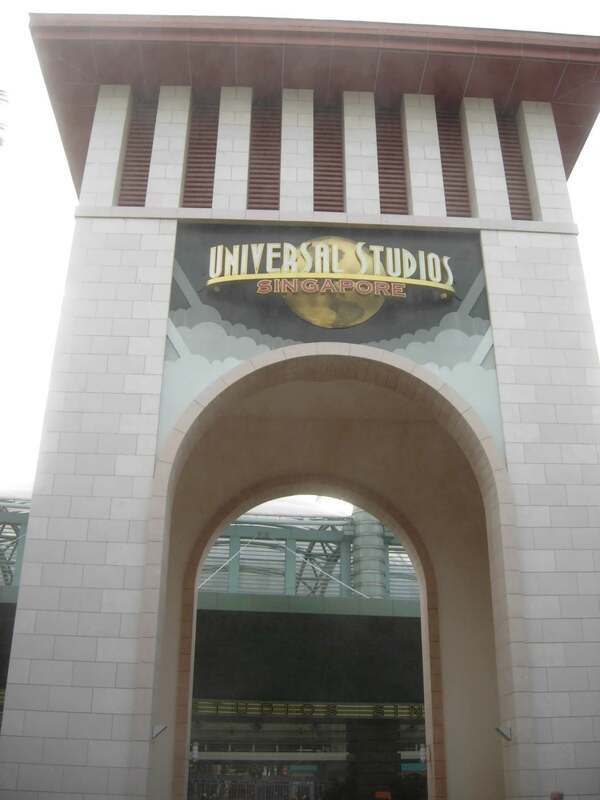 While on a recent trip to Singapore, I scheduled an extra day to visit Universal Studios Singapore. 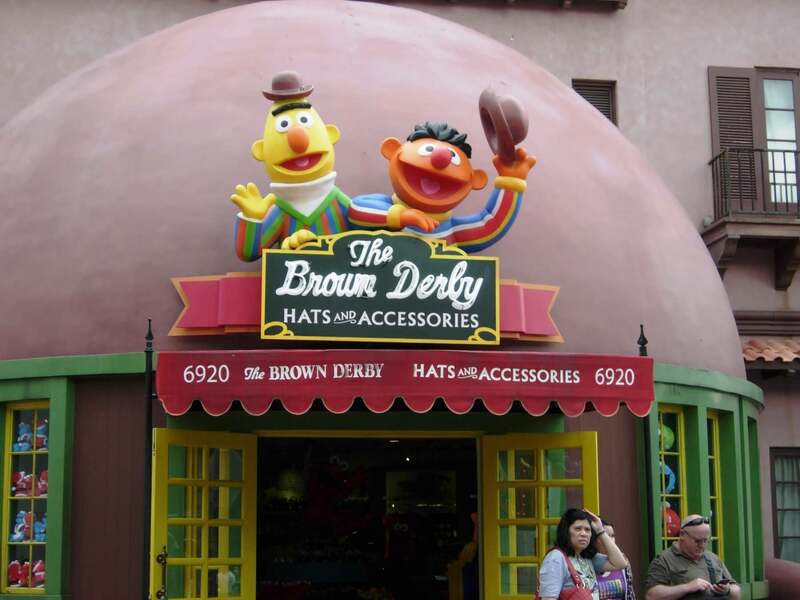 I have always wondered about the similarities and differences between the Orlando and worldwide Universal theme parks, and this was my chance to finally find out. 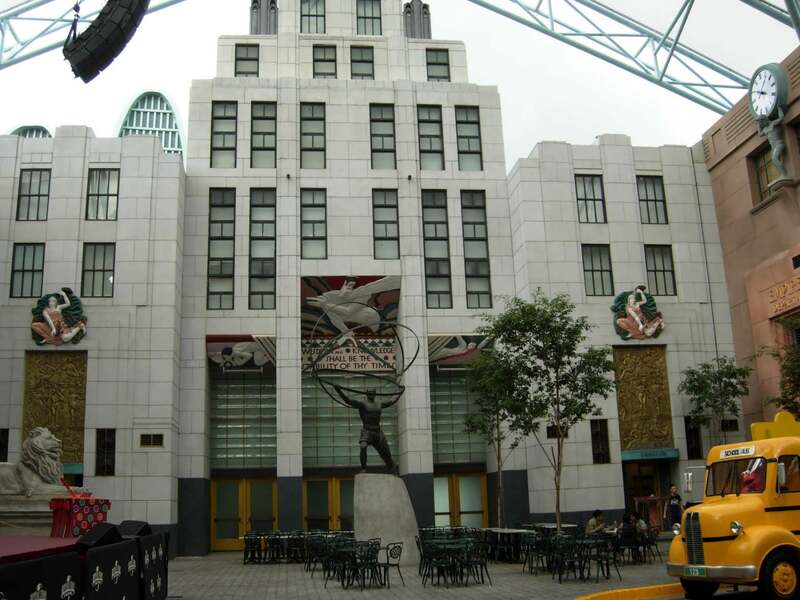 First, a few words about the location: Singapore was a city/state established by the British to facilitate world trade. While it’s an independent country now, the British influence remains. Almost everyone is fluent in English, and you can enjoy afternoon tea at a number of locations. They drive on the left and walk to the left when on sidewalks (or in theme parks). 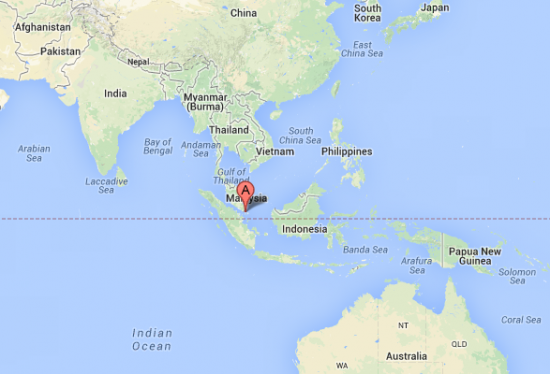 Singapore is very near the equator, so the climate is hot and humid all the time – think of Orlando in August. And, like Orlando in August, tropical downpours and thunderstorms are common. At the equator, the length of day varies little with the calendar, so it is dark by 7:00 pm every day. Being a trade hub, Singapore has a large ethnic mix; travelers from China, India, Thailand, and Malaysia bring variety to the city. It is not uncommon to see signs in four languages. The currency is the Singapore dollar, and the exchange rate when I was there was near 1 to 1. The prices below are in Singapore dollars (SGD), but because of the even exchange rate, these prices are about the same as what you would pay in US dollars (USD). 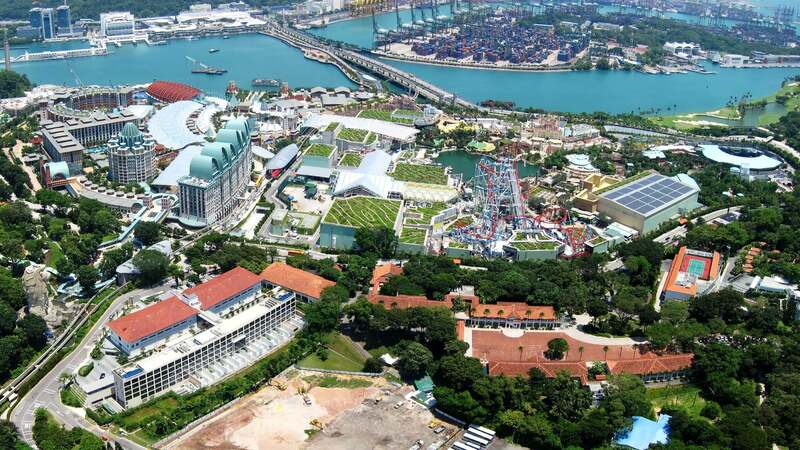 The country of Singapore includes the island of Sentosa, which is about 300 yards off the shore of the city, at the mouth of the harbor. Originally, Sentosa was the location of the fort protecting Singapore. 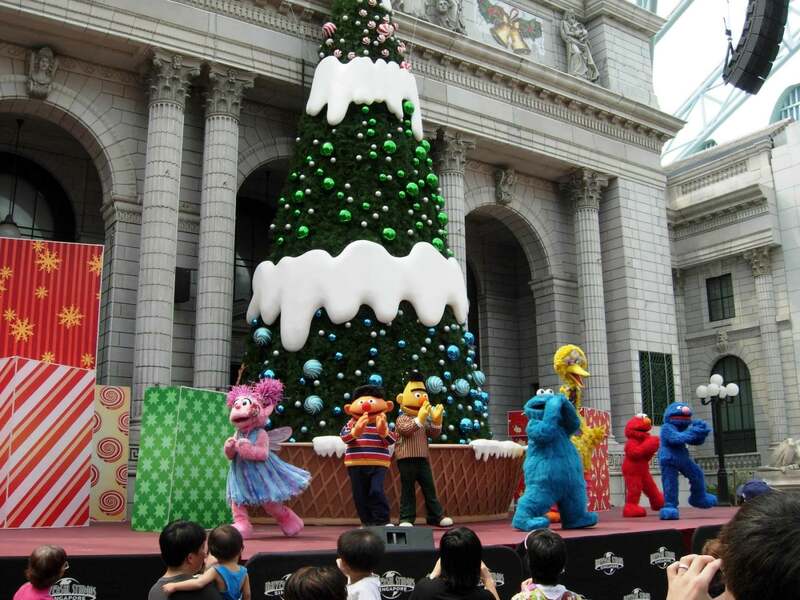 Now it has been developed into “Asia’s ultimate destination,” Resorts World Sentosa. 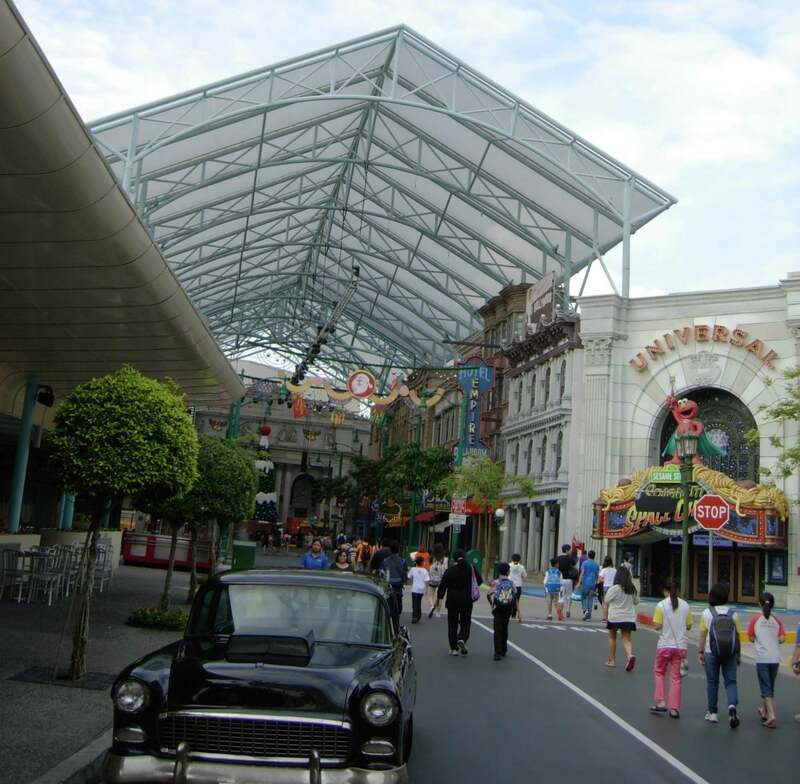 There are hotels, a casino, an aquarium, a butterfly atrium, the old fort, Universal Studios Singapore, and an entertainment area similar to CityWalk that includes Hard Rock Singapore. 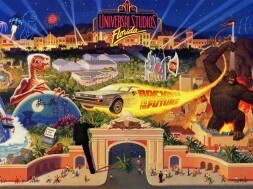 It felt to me like a cross between Universal Orlando and Las Vegas. 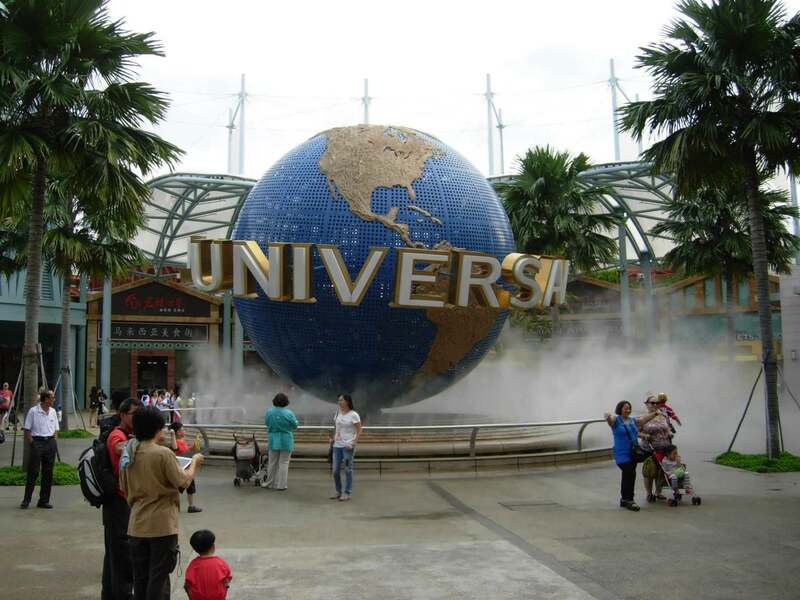 Sentosa has been developed by the Resorts World Sentosa organization, not Universal. I believe Universal and Resorts World have a licensing arrangement. Had I known about the extent of development on Sentosa, I would have made more time available to explore the other parts of the island. There are a number of ways to get to Sentosa from the city. A taxi is easy and convenient. It will cost about $20.00 to $30.00, depending on traffic and the distance. Another way is via the city’s subway, or the “MRT.” I like to get the local flavor, so I went with the subway for $2.00. The jump off point for Sentosa is at a shopping mall called “Vivo City.” From Vivo City, you can choose to take a cable car over the water or a monorail. I chose the monorail for $4.00, which also got me unlimited travel around Sentosa for the day. The monorail and cable car have clear views of the city’s harbor and shipping operations. A short walk from the monorail, familiar sights appear. On the day I visited, the park hours were from 10:00 am to 7:00 pm. I arrived at 9:00 to buy admission: a single day admission ticket cost $74.00. They also have annual passes (an interesting APH feature is that discounts apply to alcohol). Then I stood in line anticipating entry. Like in Orlando, a family was chosen to celebrate in opening the park. 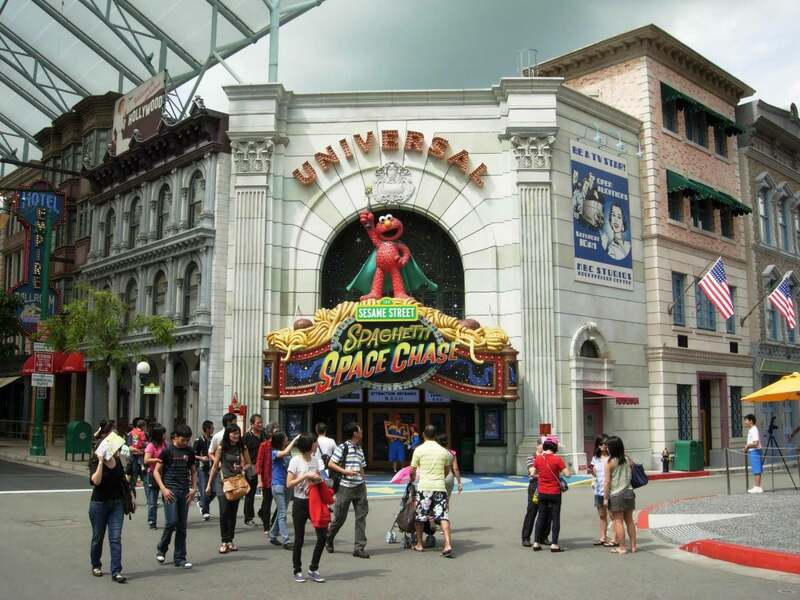 For reference purposes, you can open these two pages to help you navigate my tour: the Universal Studios Singapore website and a great interactive map. Sorry, no Sentosa Informer yet! The first park section is Hollywood. 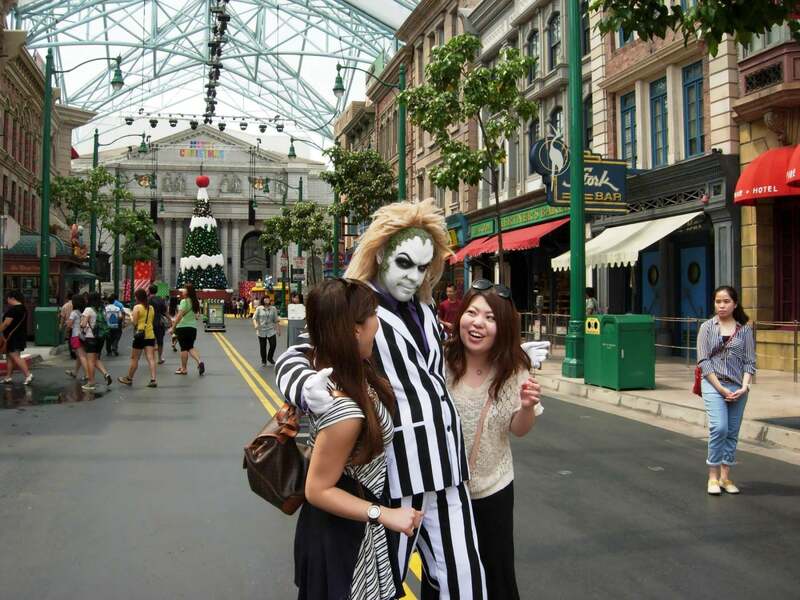 It is very much like Orlando, with a Universal Studio Store and photo shop. But the big difference is the canopy over the street. Due to the frequent rain, the canopy makes the park much more inviting. It also allows for street vendors, like face painters, to come in on little carts and set up shop without concern for the weather. At the end of Hollywood is Mel’s Diner. 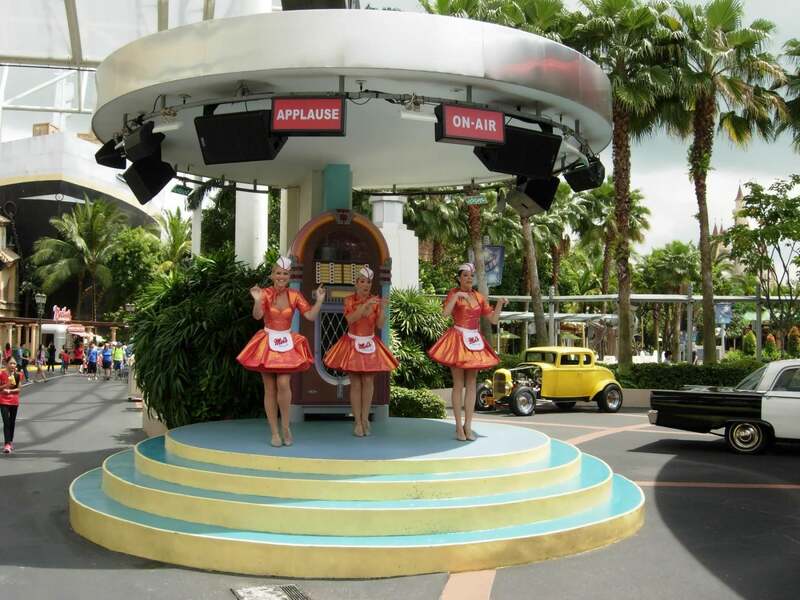 It is just like Orlando’s, only a bit larger, and features a stage where Mel’s Dinetts and the Daddy O’s perform music from the ’50s. The music was fun, and the show had a lot of energy. The next area I visited was New York, another canopy-covered section. 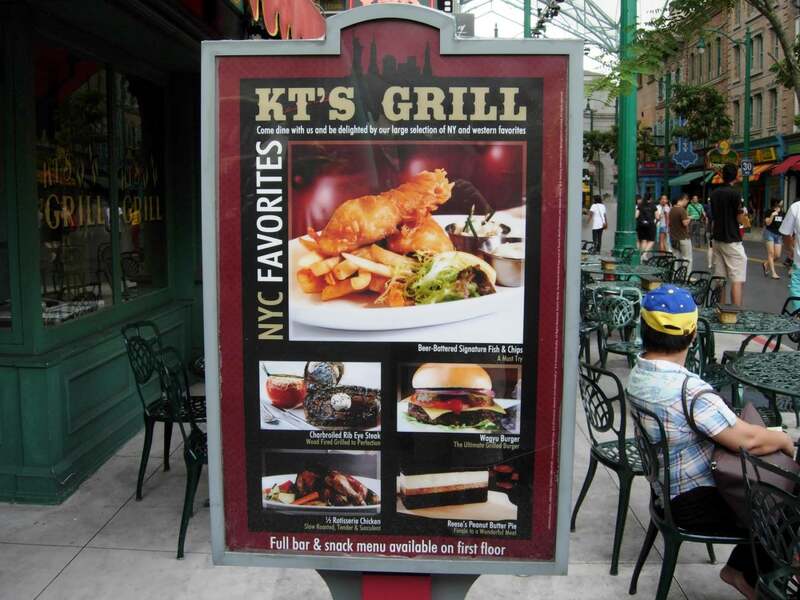 New York is very similar to Orlando’s 5th Avenue, with a Loui’s pizza and a Finnigan’s-style bar and grill called KT’s. 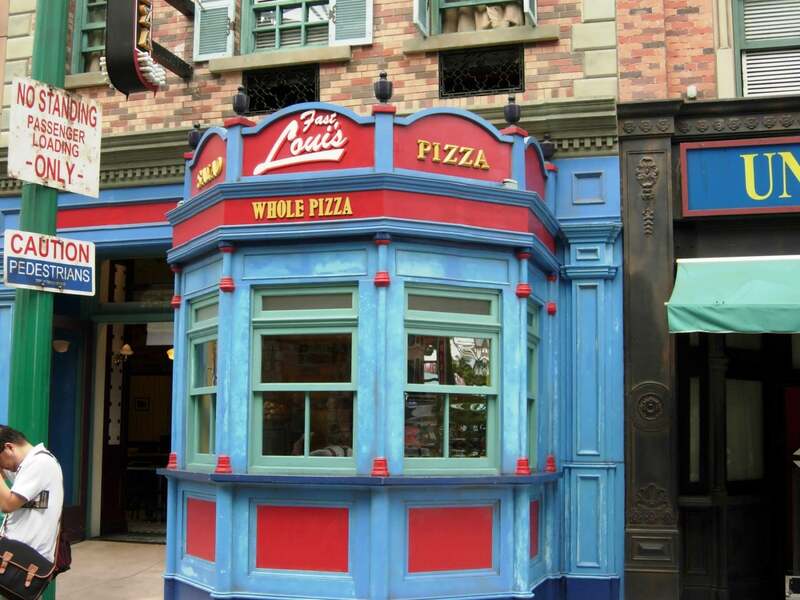 Loui’s is smaller than Orlando, and it hosts the Sesame Street character breakfast. 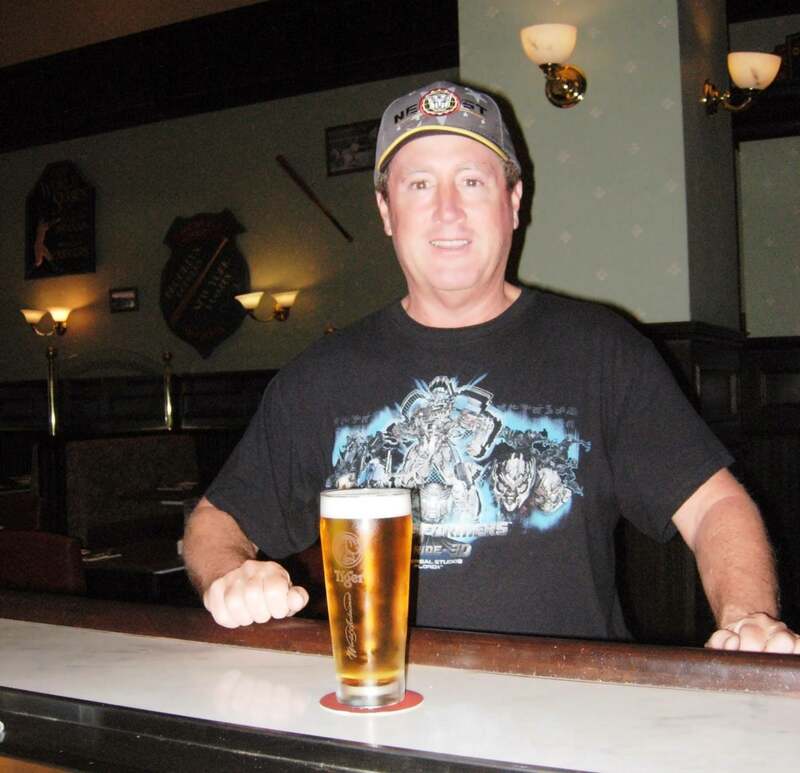 KT’s is a two-story restaurant and bar. 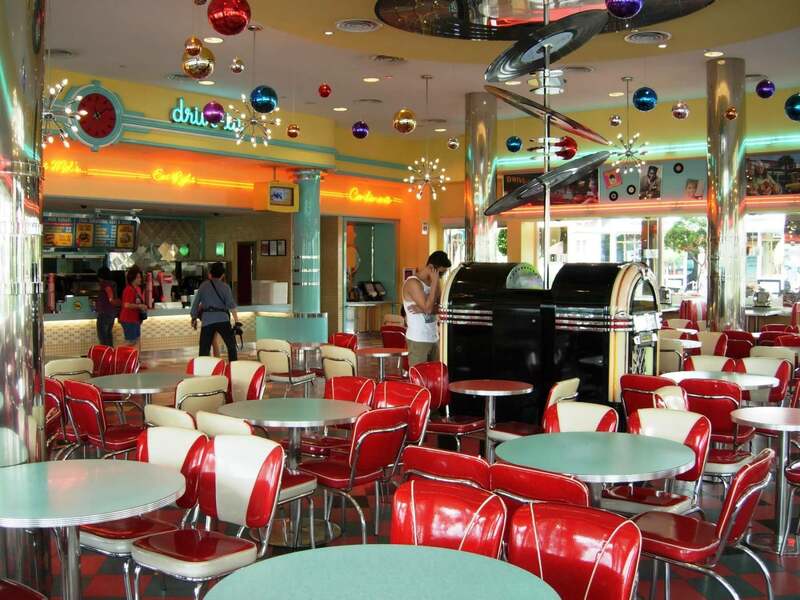 There is no Lombard’s here, so KT’s is the most formal dining I saw at USS. The NY strip steak was $30.00, and due to high taxes on alcohol, a beer is $14.00 (good thing annual passholders get that discount, right?). 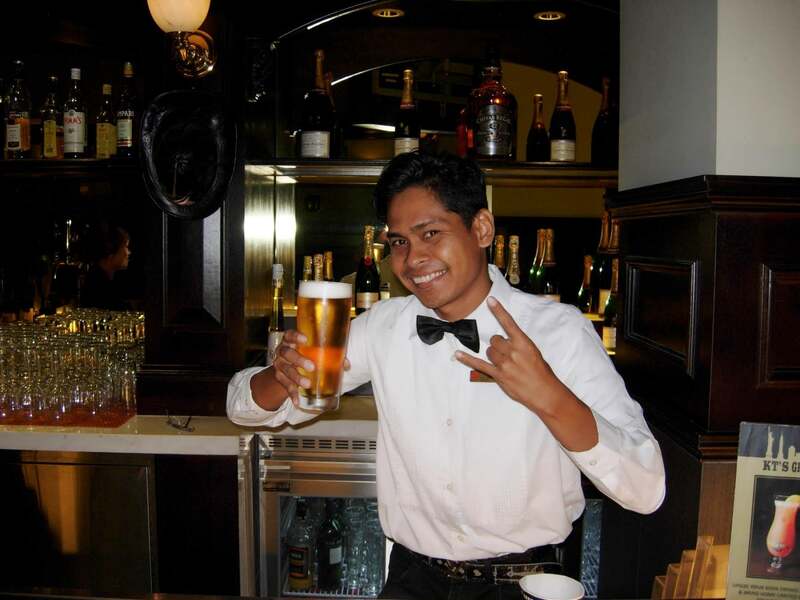 The atmosphere at KT’s is great, just like Finnegan’s, and I spent some time with my bartender, Kamel. My USF Transformer’s shirt was noticed by several of the Universal team members. On the second floor of KT’s is the viewing area for the fireworks show over Lake Hollywood. New York and Hollywood were decorated for the holidays. I then moved to the Sci-Fi City section, where the original Transformers is located. 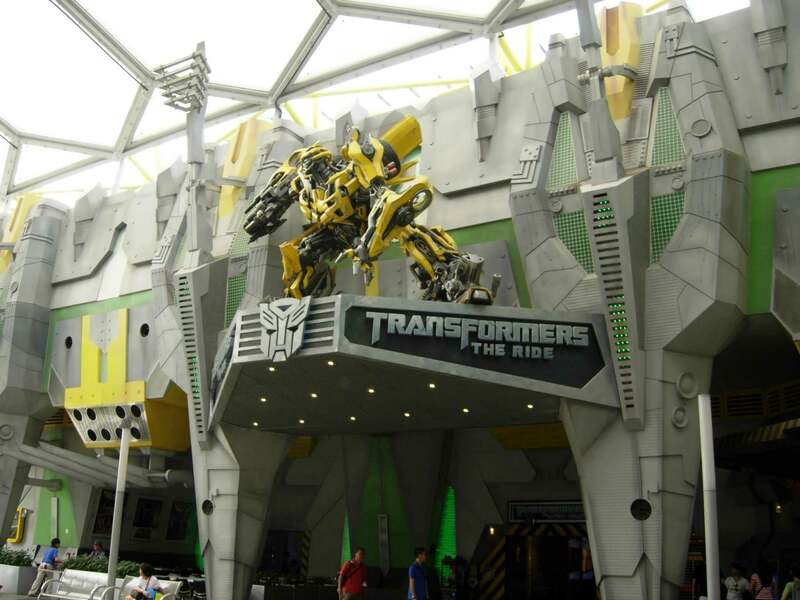 The Bumblebee statue at the opening is about two-thirds the size of Optimus Prime in Orlando. 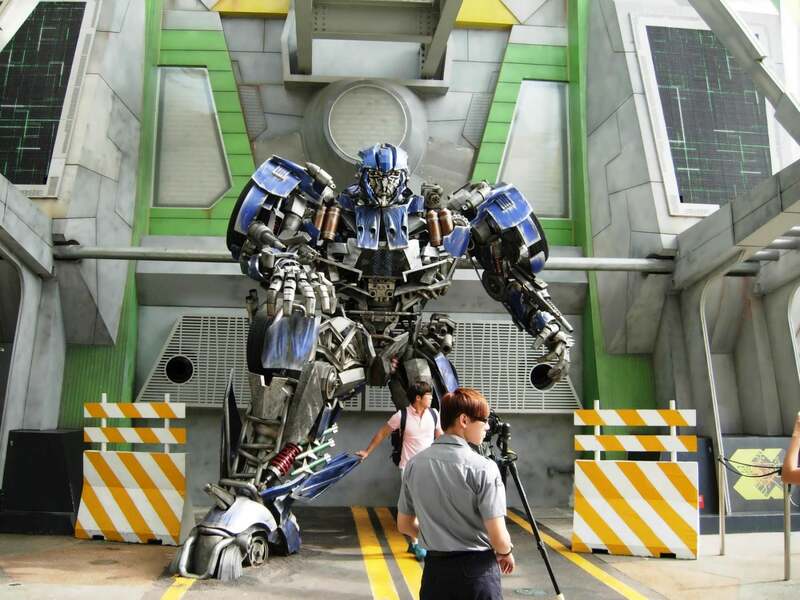 While there are no live-action characters for photo opportunities, they have a second Transformers statue: a life-size version of the ride’s vehicle and star, EVAC. The queuing and pre-show portions of Transformers were not quite identical between the parks, but they were faithfully matched. And the ride was matched, as well. 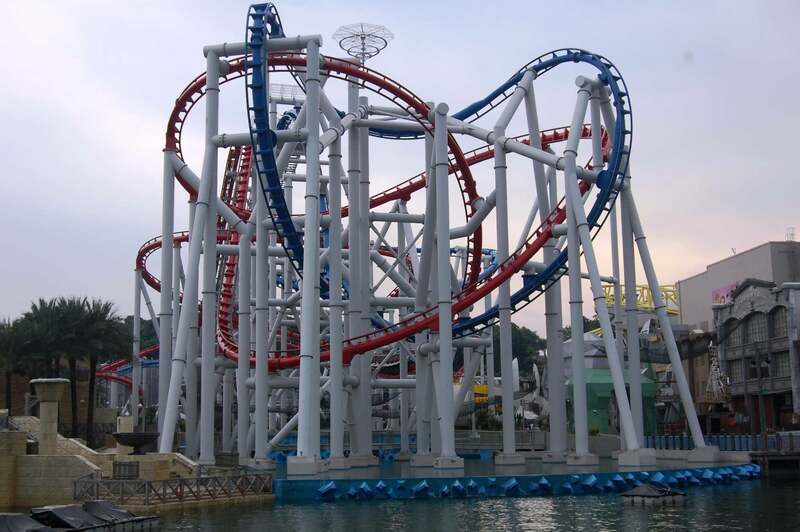 Overall, public enthusiasm tends to be a bit subdued in Asia, but on this ride, there was a lot of screaming going on! 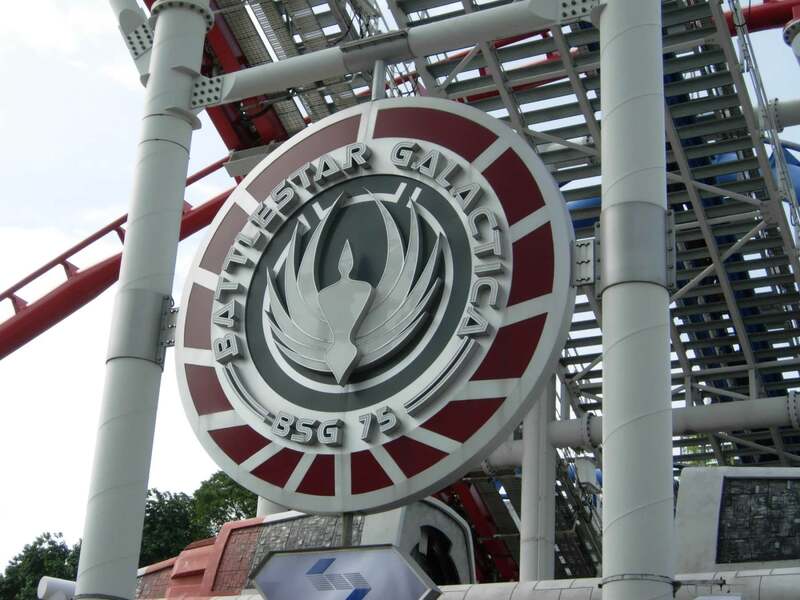 The largest roller coaster in the park is based on Battlestar Galactica. (It’s also the tallest dueling roller coaster in the world.) Sadly, it was closed on the day of my visit. 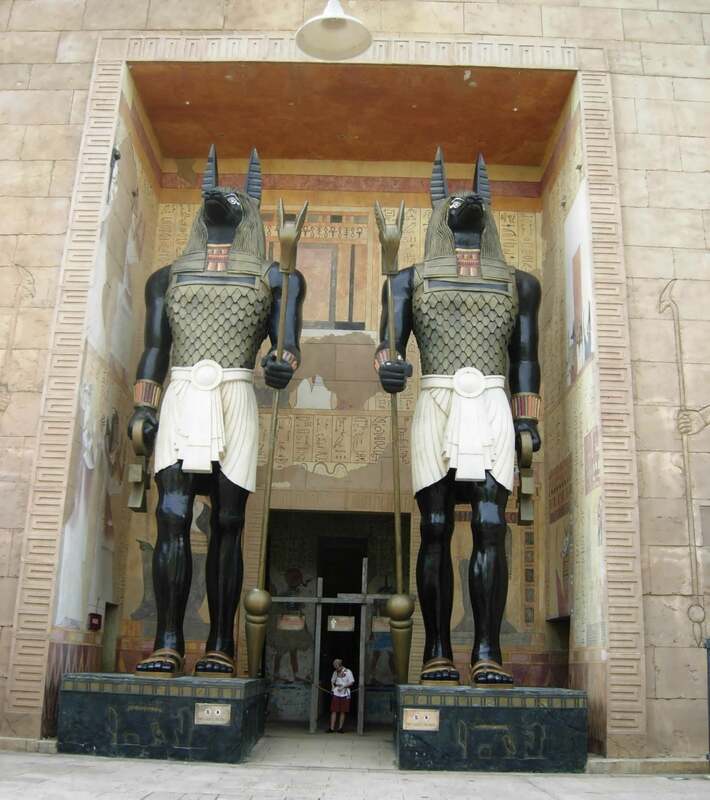 Next was Ancient Egypt, where Revenge of the Mummy is located. I think Singapore’s ride entrance is very impressive. The queuing and pre-show sections are again not identical, but faithfully matched. 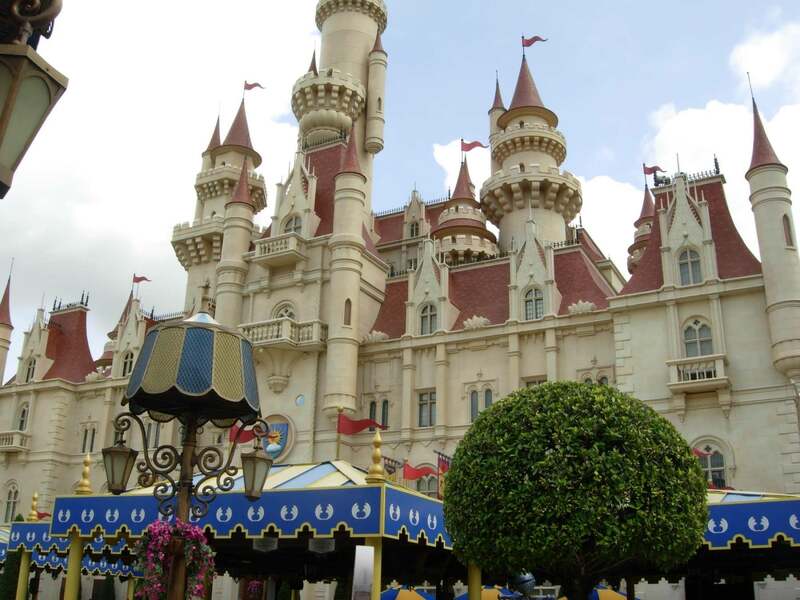 The ride itself was also closely matched between Orlando and Singapore. 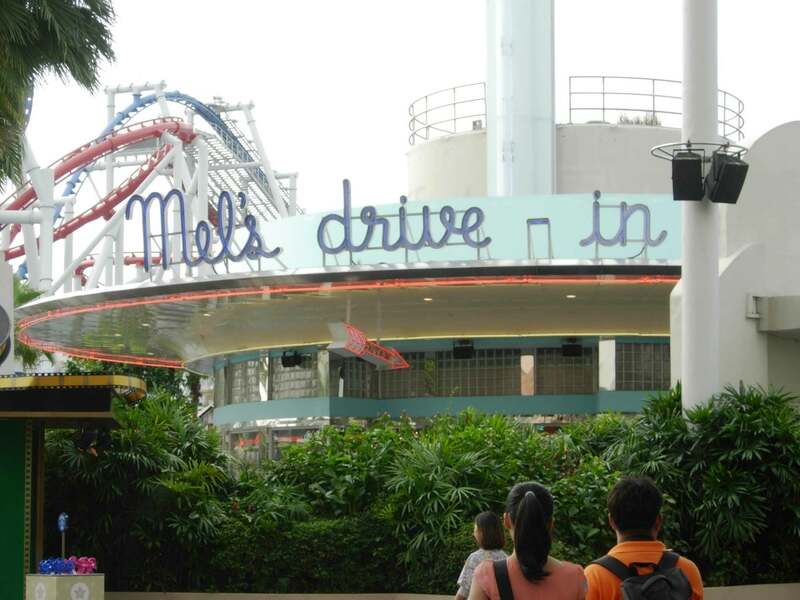 It did feel to me that Singapore had some longer falls than Orlando, but it is still a great ride at both parks. After a ride on The Mummy, I briefly visited Lost World, which is the Singapore equivalent to Orlando’s Jurassic Park. 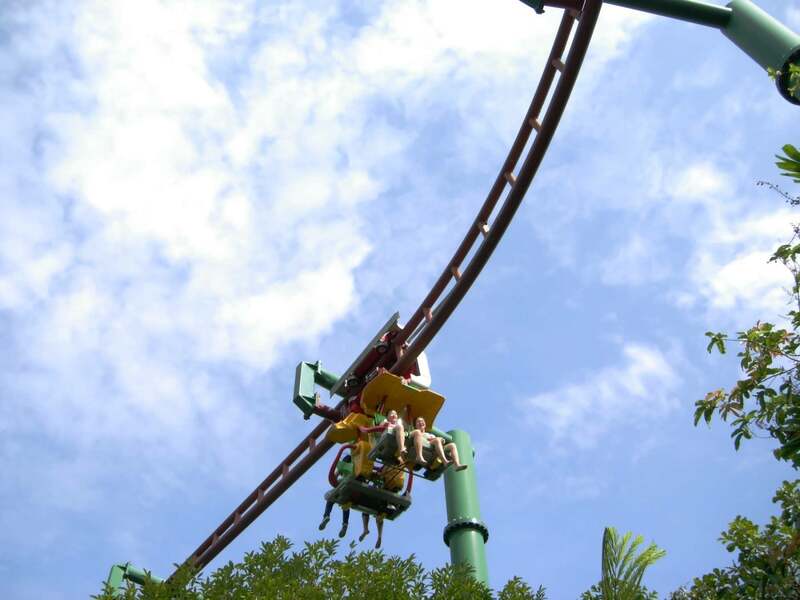 The Pteranodon Flyers ride, called Canopy Flyer, looked to have a higher throughput than at Orlando — plus, it would be fun to go around the track facing backwards. 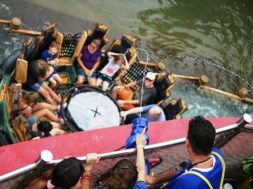 Because of a wish to stay dry, I skipped Jurassic Park: Rapids Adventure, a ride similar in style to Orlando’s River Adventure, but our over-size flume vehicles are replaced with rafts (a la Popeye & Bluto’s Bilge-Rat Barges). 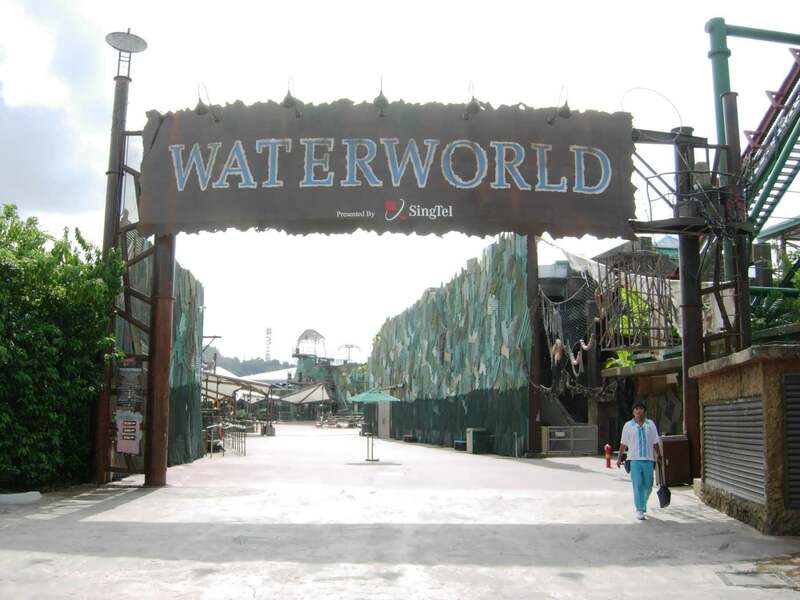 Also located in Lost World is the live stunt show WaterWorld. We don’t have an equivalent in Orlando, but WaterWorld is an attraction in Hollywood. My next stop was at the section called Far Far Away, based on the Shrek film series. The external theming here is dramatically better than in Orlando – they have a real castle! The Shrek 4D ride queue is inside the castle and is air conditioned. 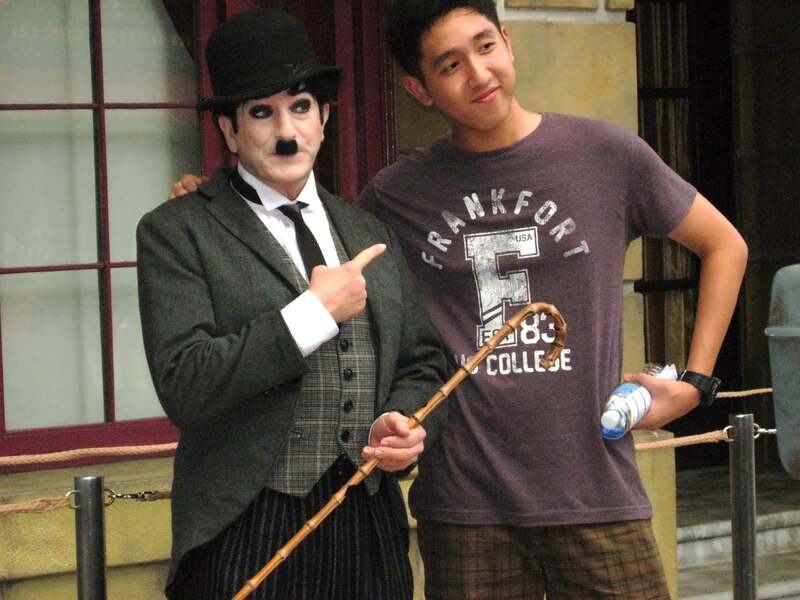 The pre-show queue does not have an aspiring comedian threatening to flog the prisoners at every instance, but its story is identical between Orlando and Singapore. The Shrek 4D movie is also the same between the parks, but in Singapore, the seat motion is much stronger. As always, Shrek and Donkey are the heroes. 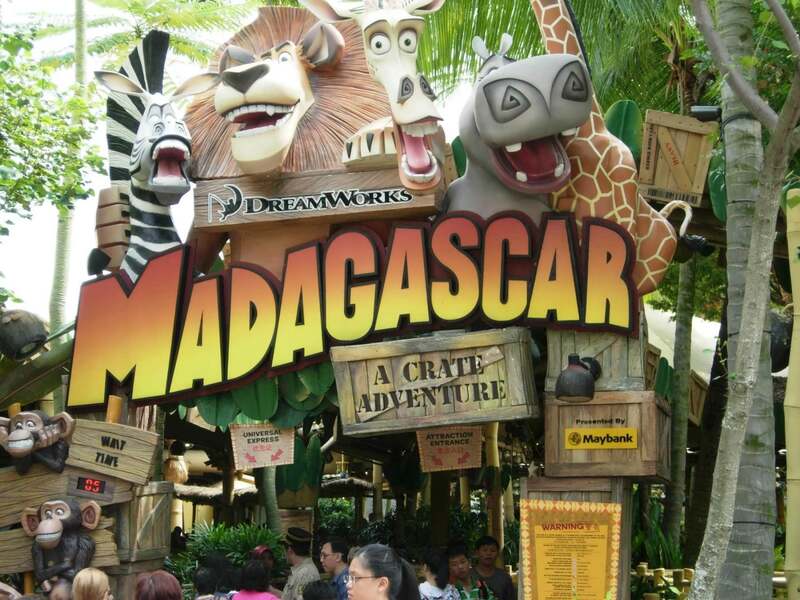 The last section of the park is called Madagascar, based on that movie series. To me, it was the most interesting and exciting part of the visit. 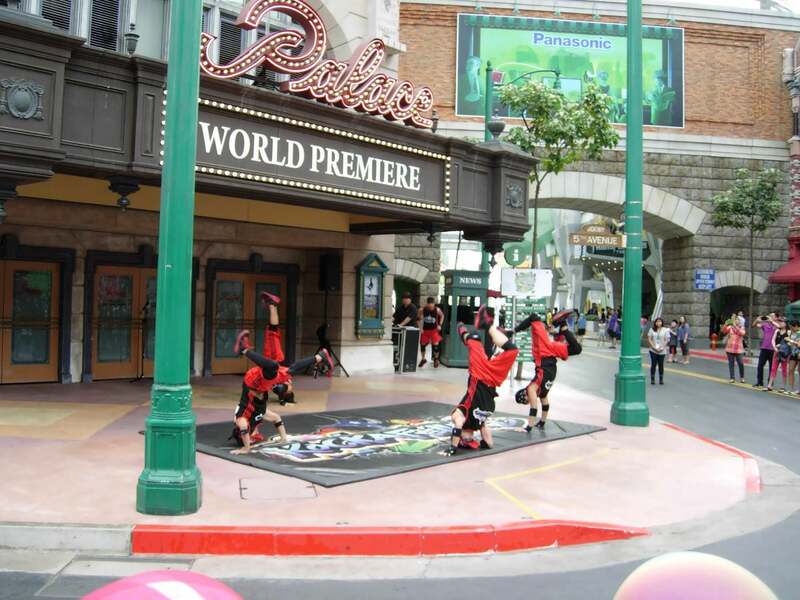 As I arrived in the area, a character show started. 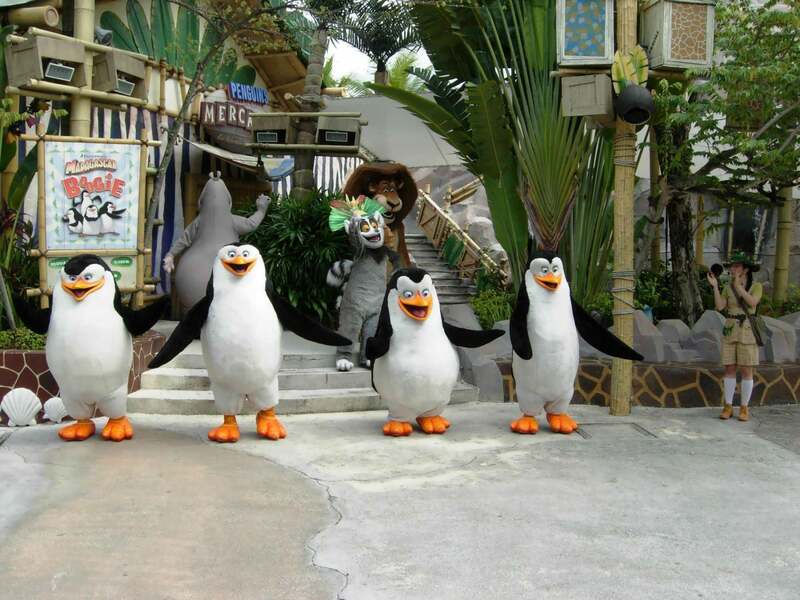 King Julian, the penguins, and the rest of the cast did a dance to the movie’s “I Like to Move It” song. 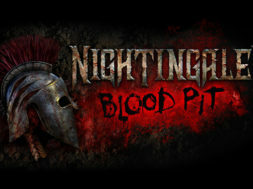 The acting by the characters was great – really a blast! 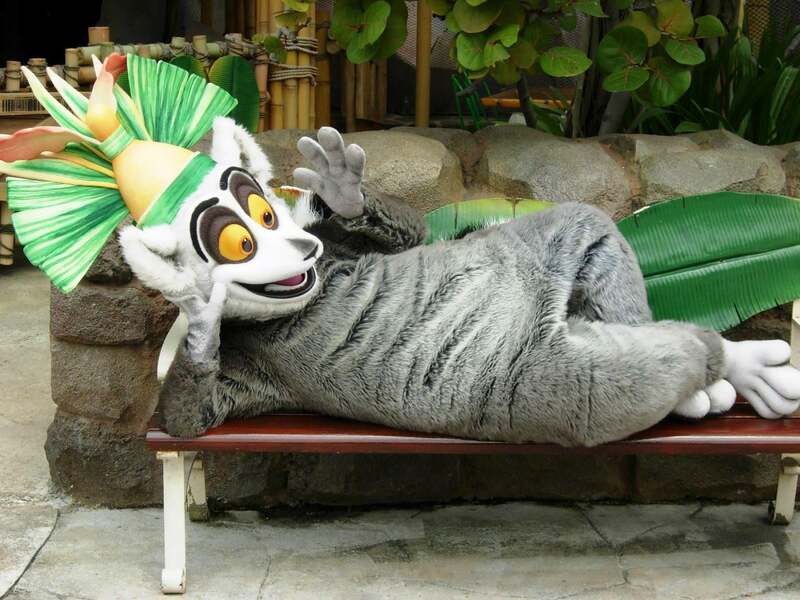 During the Madagascar movie, the characters end up in crates and sent on a ship, which is then beached in Madagascar. 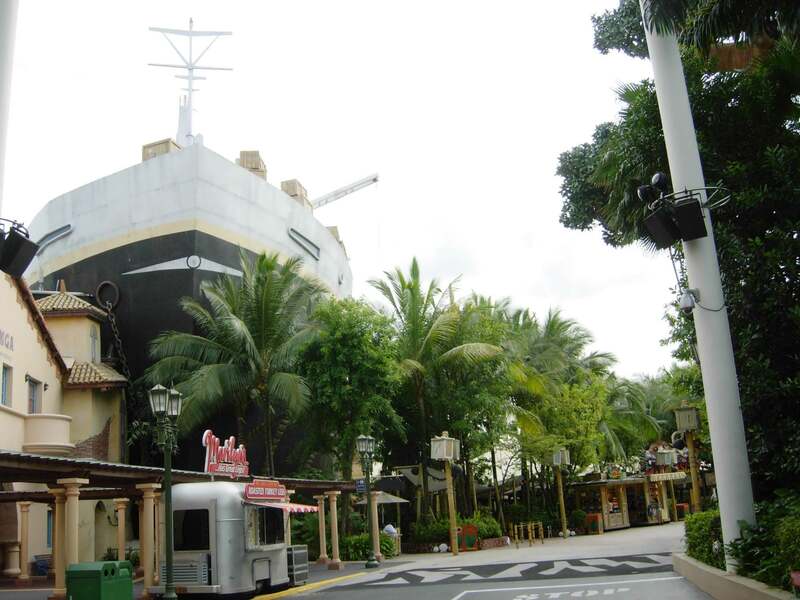 Well, Singapore has the beached ship, dominating the view and housing the Madagascar: A Crate Adventure boat ride. 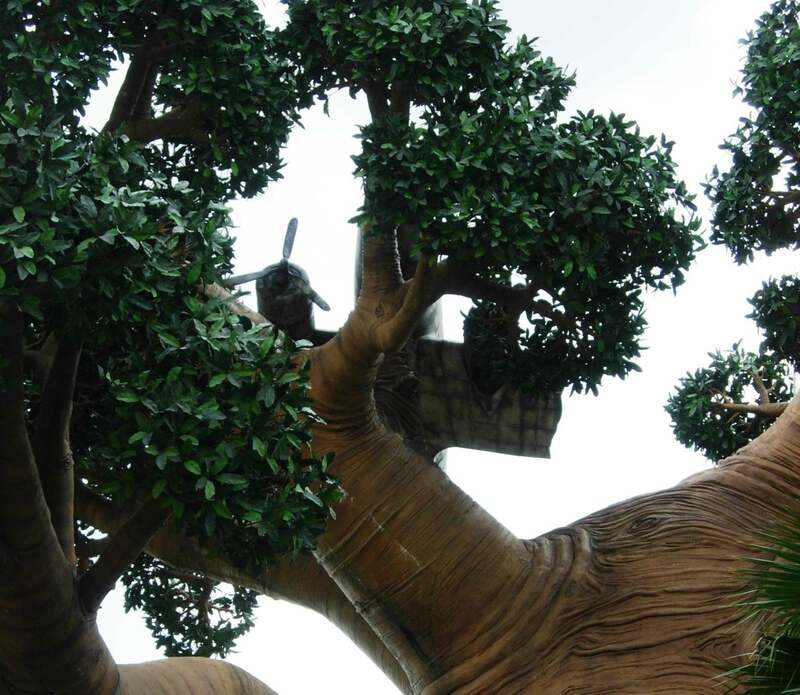 The detail and theming is great everywhere in this area – even the tree with the airplane at the top is here. The entire park circles Lake Hollywood, a lagoon somewhat smaller than the one at USF and home to a nightly fireworks show. Unfortunately, on the date of my visit, the show was cancelled. 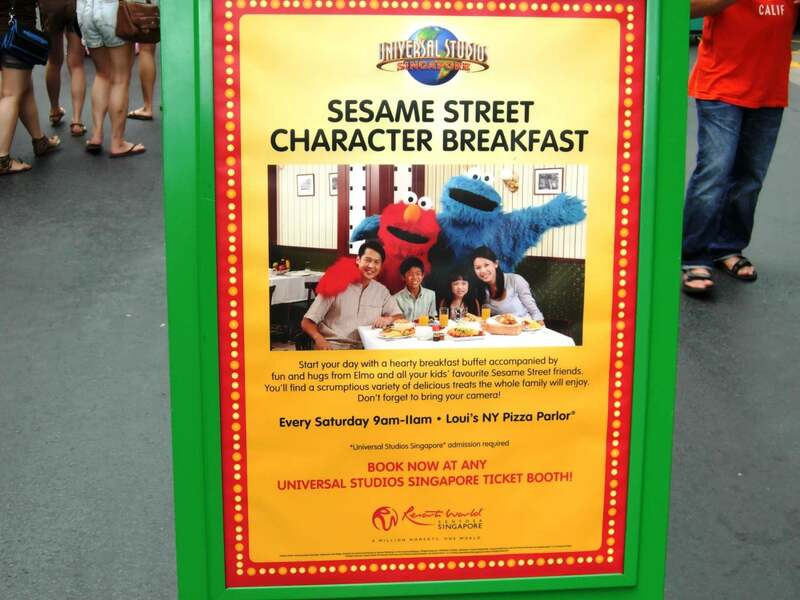 A few more noteworthy moments: Sesame Street is licensed to Singapore, so the characters are featured in several smaller attractions. There is no Graveyard Review, but Beetlejuice is running around. 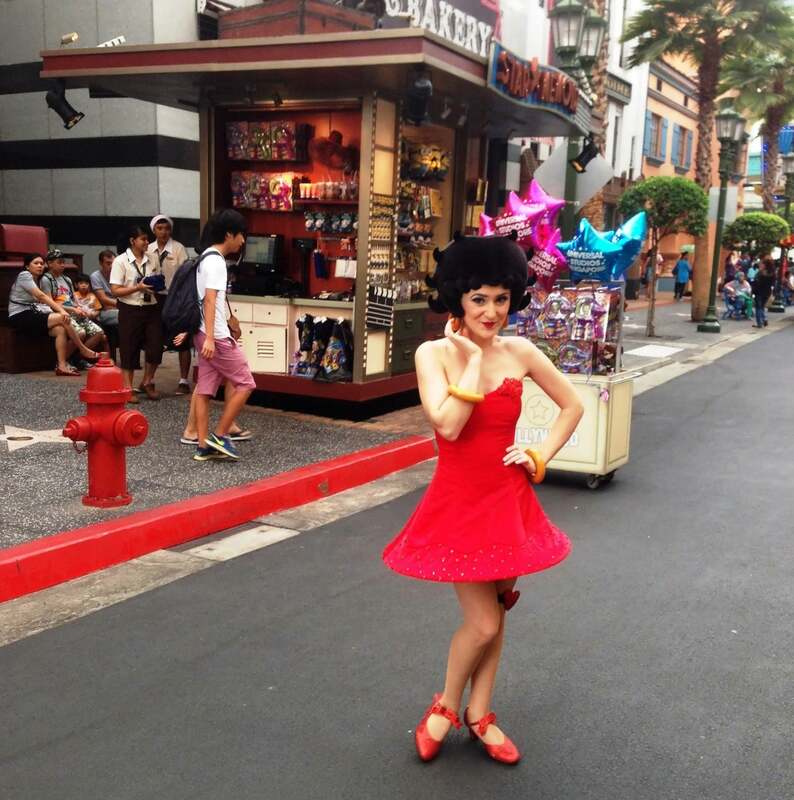 Even Charlie Chaplin and Kung Fu Panda can be found, and, of course, Betty Boop and Marilyn Monroe. Would you believe the crowd for Marilyn was so long that I didn’t get a picture of her? It’s true, but I did get a picture of her legs! 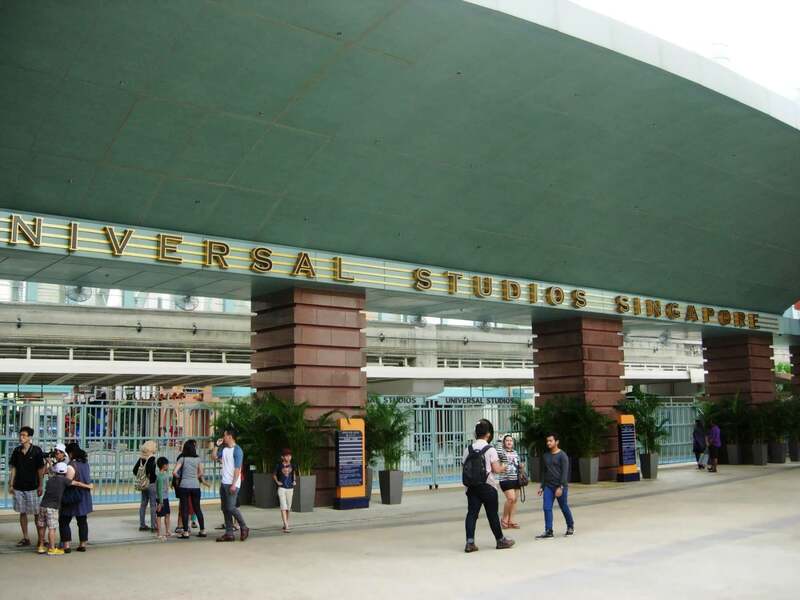 I hope you enjoyed my Universal Studios Singapore trip report as much as I enjoyed exploring this Universal park on another continent. Don’t miss the complete photo gallery below. Or, if you prefer, you can view an even larger photo gallery on Flickr. What do you think: is Universal Studios Singapore superior to what we have here at Universal Orlando? What would you like to see be migrated over? Sound off in the comments below. 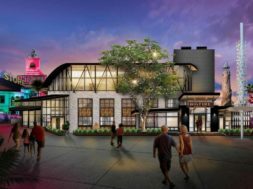 Also be sure to check out our look at other overseas Universal parks – and what they just may hold for the future of Orlando. 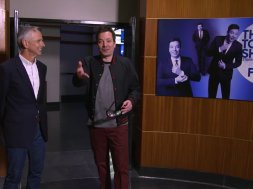 Does Universal Studios Florida have a studio tour like Hollywood?